Offering you a complete choice of products which include bradma die hard rotary type numerator and bradma automatic numerator. 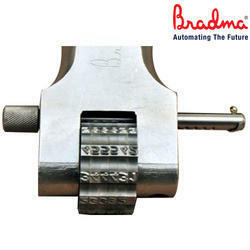 We are offering Bradma Die Hard Rotary Type Numerator to our clients. Each 'Marking wheel has 11 faces with 0 to 9 figures on 10 faces, and one face blank. Individual wheel release One wheel can be released at a time, without disturbing set - up of other wheels ( The locking pin can be pulled to release just that particular wheel. Numerators with special Calligraphy other than "Bradma" Calligraphy. 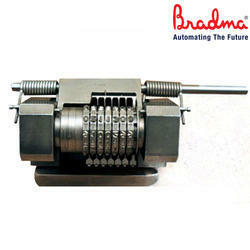 We are offering Bradma Automatic Numerator to our clients. No riveted assembly - easy to dismantle and clean by the user. The unique design of holding catch and springs. Numerators with Alpha - Numeric and/or special wheel combination. High-Performance Numerators for longer life.